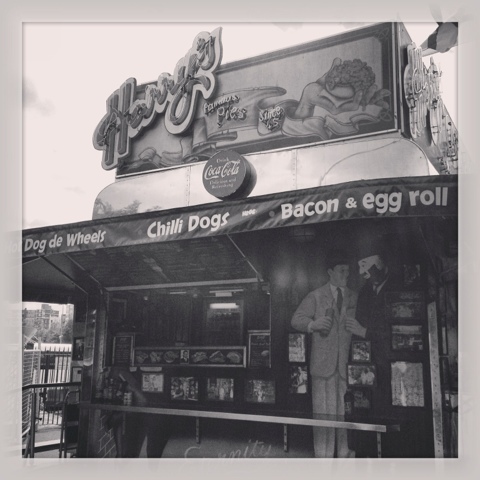 What is the story behind Harry's Cafe de Wheels? It's an Australian staple that everyone must try, and I learned this from my foodie hero Anthony Bourdain. But why? Maybe it's the original food truck. In 1938 it all began at the Woolloomooloo navy pier by a man named Harry Edwards. When Harry fought in WWII in the Middle East, he was nicknamed 'Tiger' and there you have it. 'Tiger' is the most famous pie at Harry's, and it was my top choice to try. Over the years its popularity grew, as it was sold and bought by new owners. In the 90's, pies were shipped to an Australian themed Oscar party in LA by Rupert Murdoch. And now, it is a Sydney icon, says the National Trust of Australia. We paid a visit to the original location in Woolloomooloo. Being a gluttunous pig while I'm on vacation, I ordered two pies. I mean, we were on our way to the beach. You would think one pie would suffice but NO, I wanted an extra helping of carbs and fat to round out my curves. My first (and favorite) pie was Harry's Tiger pie. 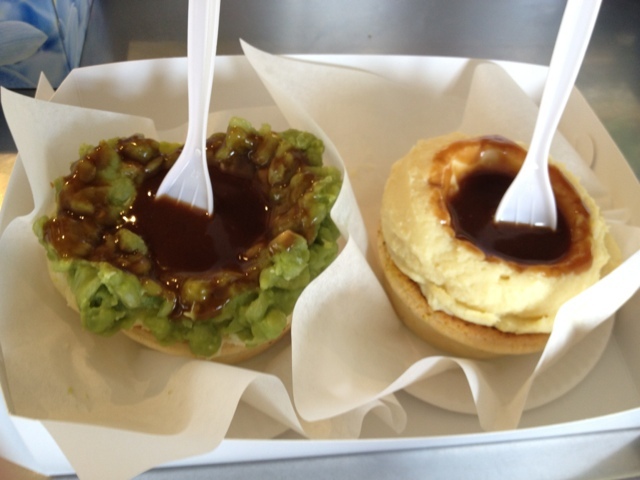 It was filled with chunky beef and topped with mashed potatoes, mushy peas, and gravy. This was mind-blowingly, life-changingly awesome. Extreme comfort food. The pies weren't as big as I expected so I felt less piggy ordering two. My next one was the Curry Chicken pie, and it was a bit spicy and full of flavor. It was great, but nothing beats the Tiger pie!